Helvetica and the New York City Subway System front cover (2009). Design by Paul Shaw and Abby Goldstein. Printed by Capital Offset. 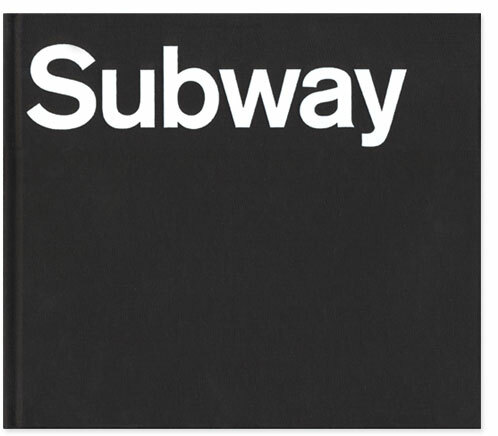 On the front cover “Subway” is set in Berthold’s AG Old Face Medium (as a stand-in for Standard Medium) while on the back cover it is set in Neue Helvetica 83 (standing in for Helvetica Bold no. 2 aka Helvetica Medium). For more information on the book, please visit helveticasubway.com.